Recently I have spent too much money on food and eaten too much of the wrong type of food. As a result I feel very tired and rather lacklustre. I have had a lot of fun too though and some of the food I have eaten is acceptable to me because it was as part of a celebration or special occassion. Yesterday Lara and Harvey came up to London. 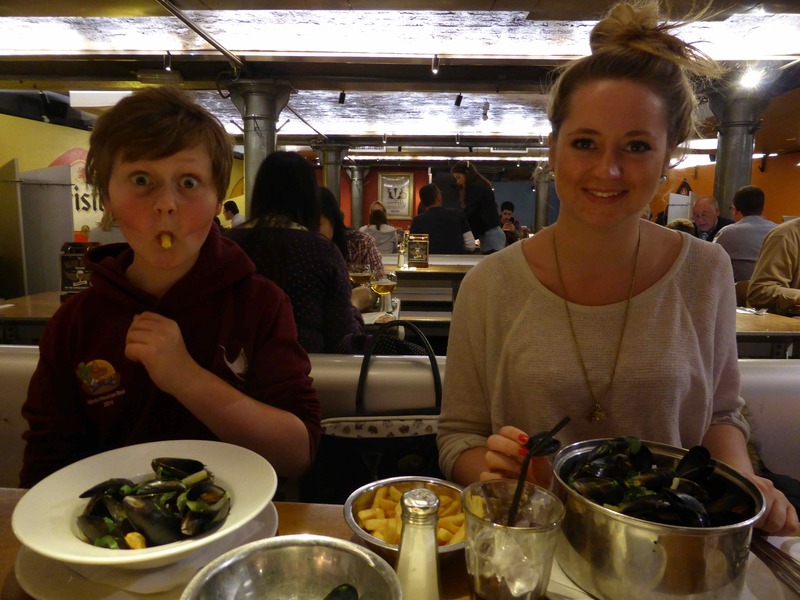 We met for lunch and I took them to Belgo because they both love moules et frites. 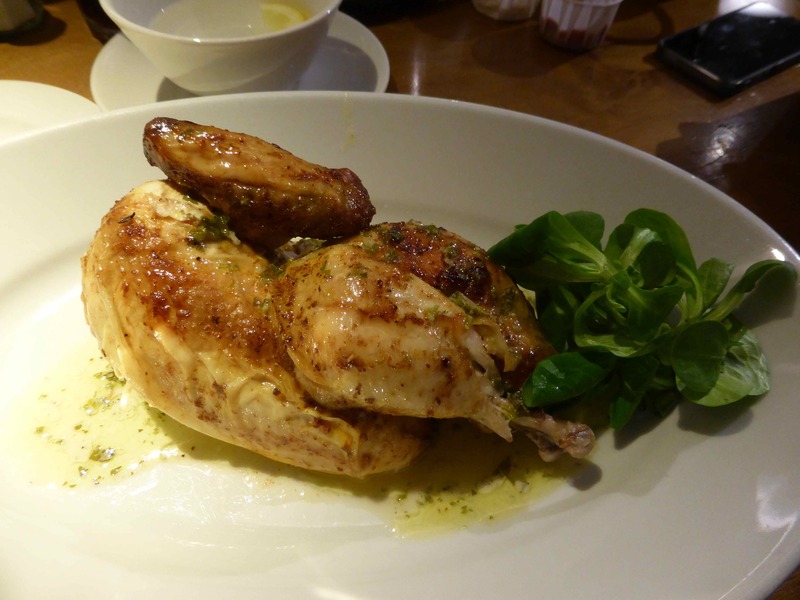 I have to be in the mood for moules and I wasn’t yesterday so I had chicken instead. They went for the moules though and enjoyed them. I had to work all afternoon but we met up again in the evening and enjoyed strolling around Covent Garden. 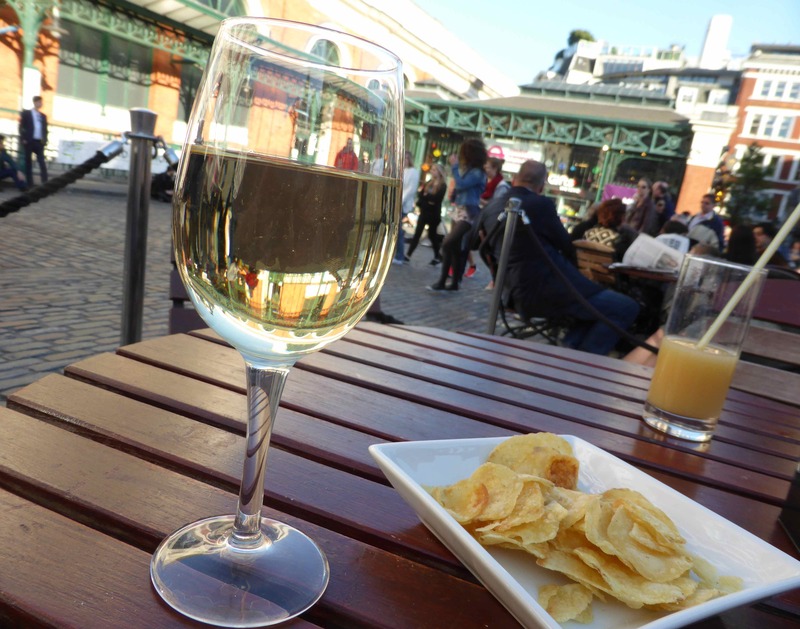 Or just relaxing in Covent Garden. Dinner did not go according to plan. We had theatre tickets so time was restricted for supper. Everywhere we tried was full and we didn’t have time to wait. 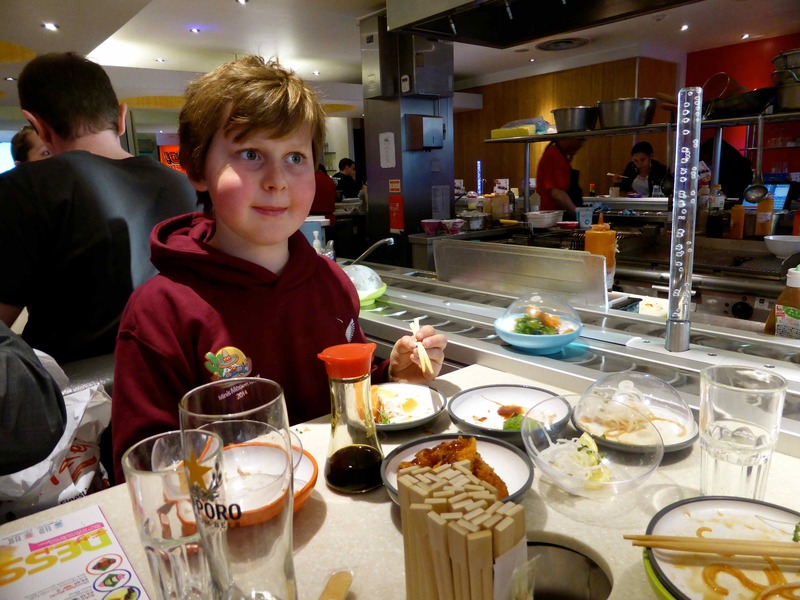 Eventually we came across Yo Sushi which Harvey has wanted to go to for ages – ever since he saw the episode of ‘Miranda’ when her tie got stuck in the conveyer belt and carried her round the restaurant on it. 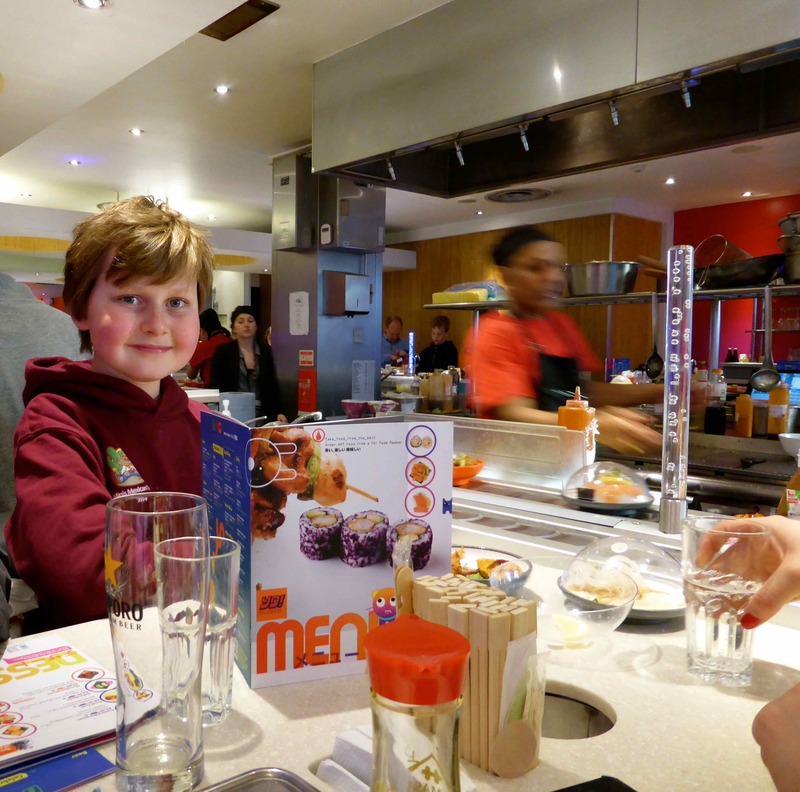 In case you have not come across Yo Sushi before, there are some chefs in the middle who prepare dishes which are put on a conveyer belt which takes the dishes round the restaurant. If you fancy it, you take it and eat it. The dishes are colour coded according to price and at the end of your meal, they count up how many of each colour you have eaten and present you with a bill. It was good fun. Most of the food was perfectly adequate. 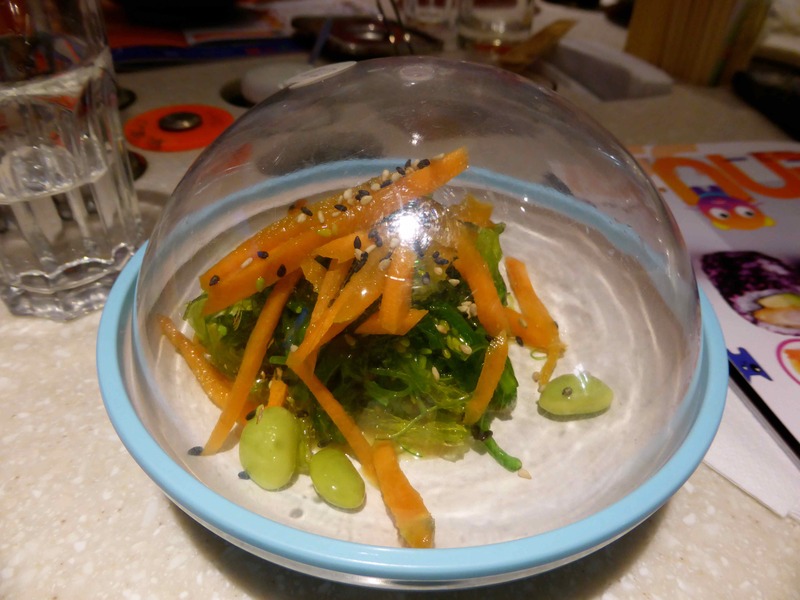 This was disgusting though – icy cold and slimy – gross! 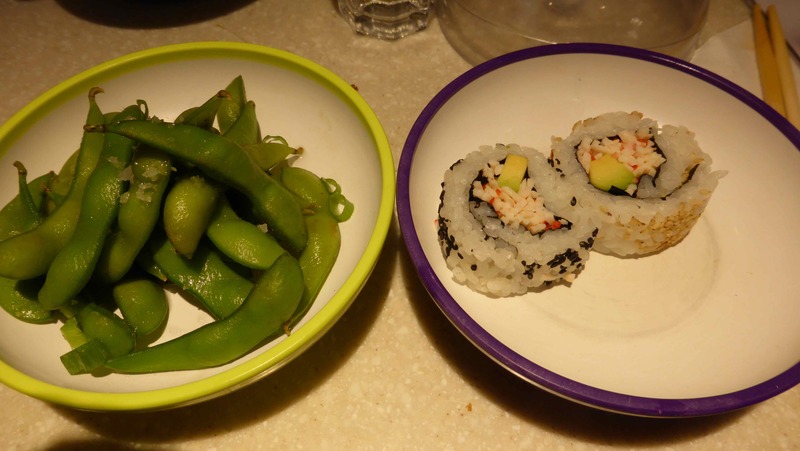 We enjoyed our meal in Yo Sushi. I wouldn’t necessarily rush back but I am glad we went. This is my current impossible to resist food item. 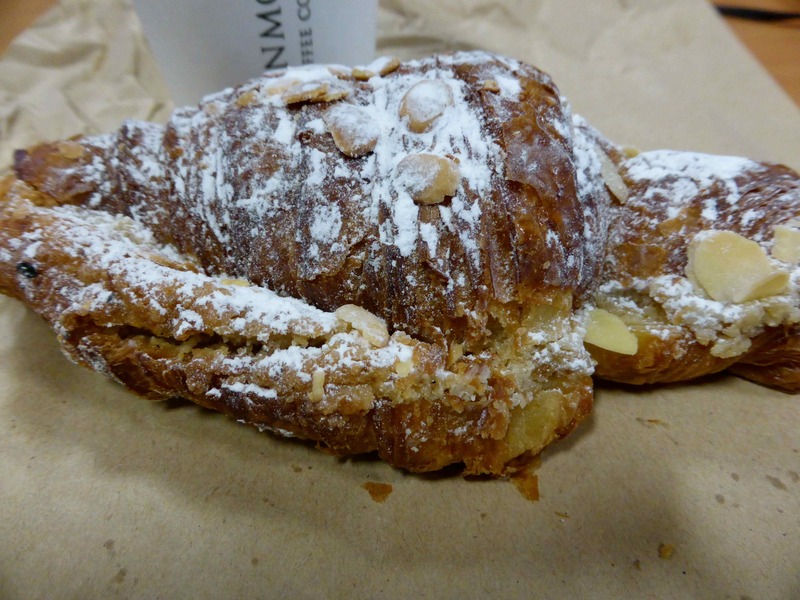 An almond croissant from Monmouth coffee. Quite the most perfectly formed item of ultra yumminess. Crispy and chewy, sweet but not too sweet with a thick layer of crushed almonds. Washed down with a coffee it is the ultimate taste sensation. But a health and diet disaster. I have some birthdays to celebrate this weekend and it is so much fun shopping near our office. 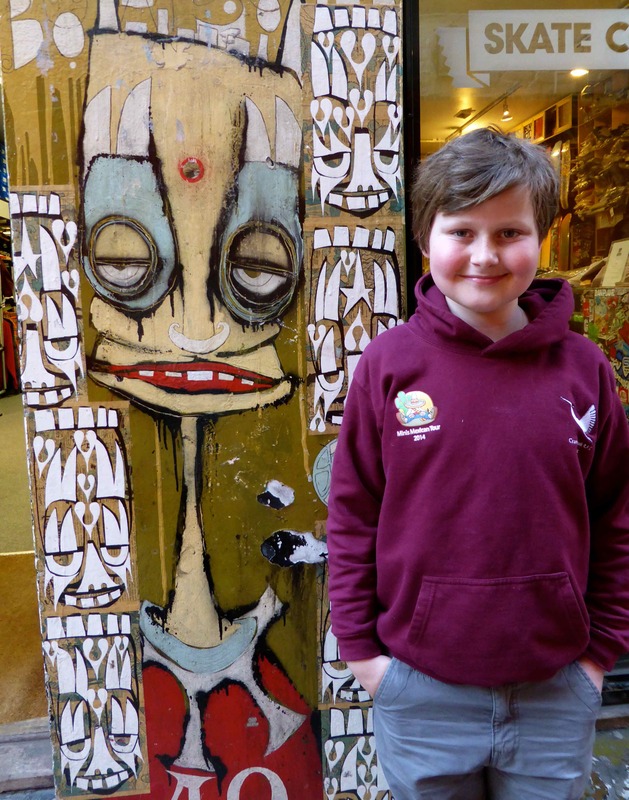 There is a very eclectic mixture of shops who are all making the most of the Easter theme. In their own individual ways! I didn’t actually go in this shop so if your birthday is this weekend, you can relax 🙂 I did go in here to buy lunch. 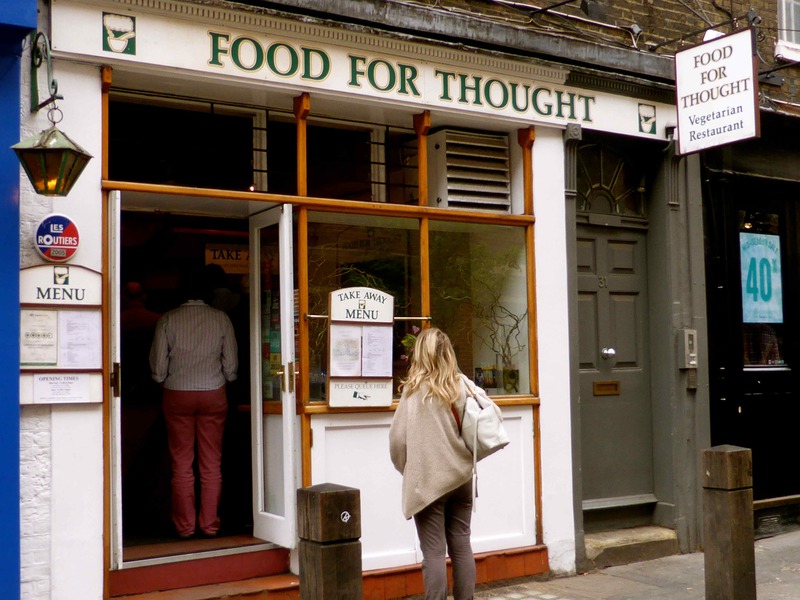 This restaurant and take away has been here for many years. I really like their food. They win few points for presentation or even service half the time but the food is delicious. 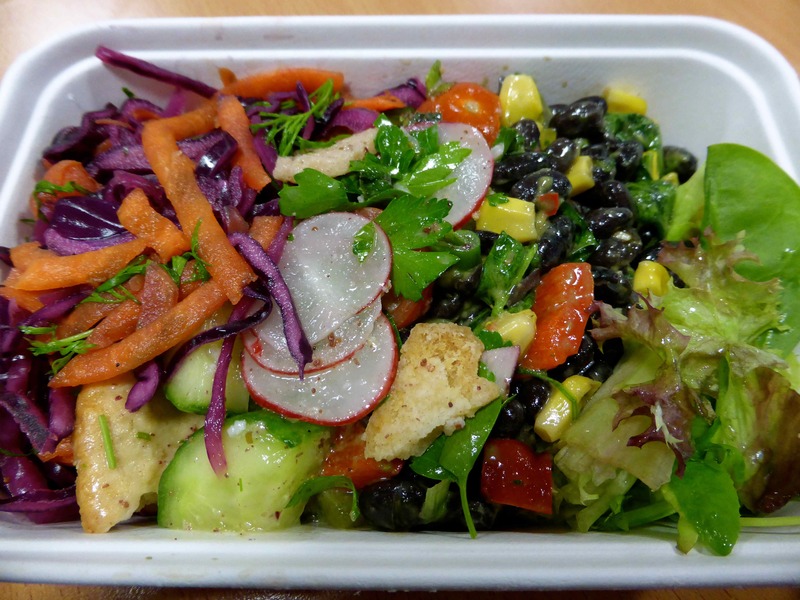 I bought a mixed salad today. 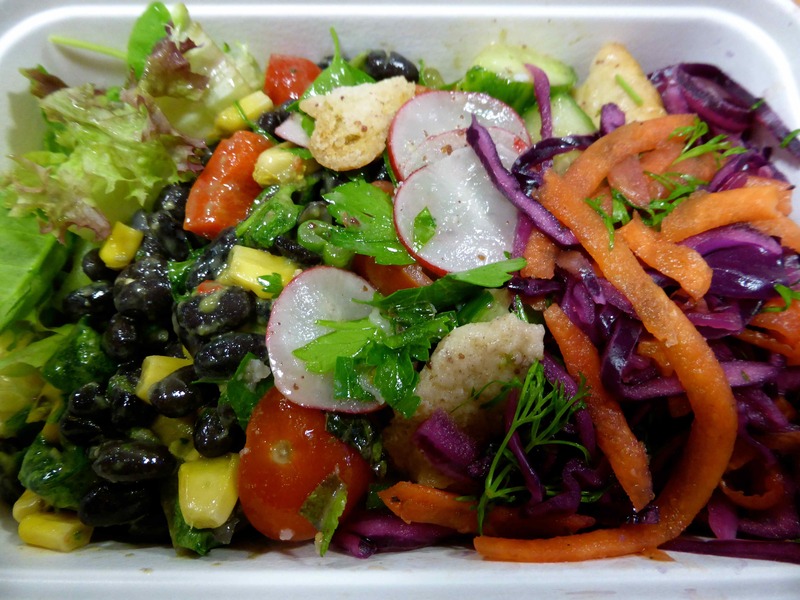 That gives you 4 different salads, each of which is lovely. I also bought a portion of their ‘cream and berry scrunch’ which is amazing but wickedly naughty – a layer of flapjack/granola with whipped cream and fruit. So I have been bad lately. Very bad. I suspect I will be bad this weekend too as it is Easter and I have 3 lunches to look forward to. I must get back to the sugar free diet as it makes me feel so much better.